Galway Hurling and Football Flag - Official Merchandise from the Galway GAA, Galway Football and Hurling teams who contest the League and Championship every year, a small quota of titles have been won in hurling and football but Galway are feared as "Giantkillers"! Some famous scalps have been taken over the years and most of the more fancied teams always fear a surprise. 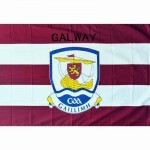 The flag is 5ft x 3ft and can be used inside or outside. 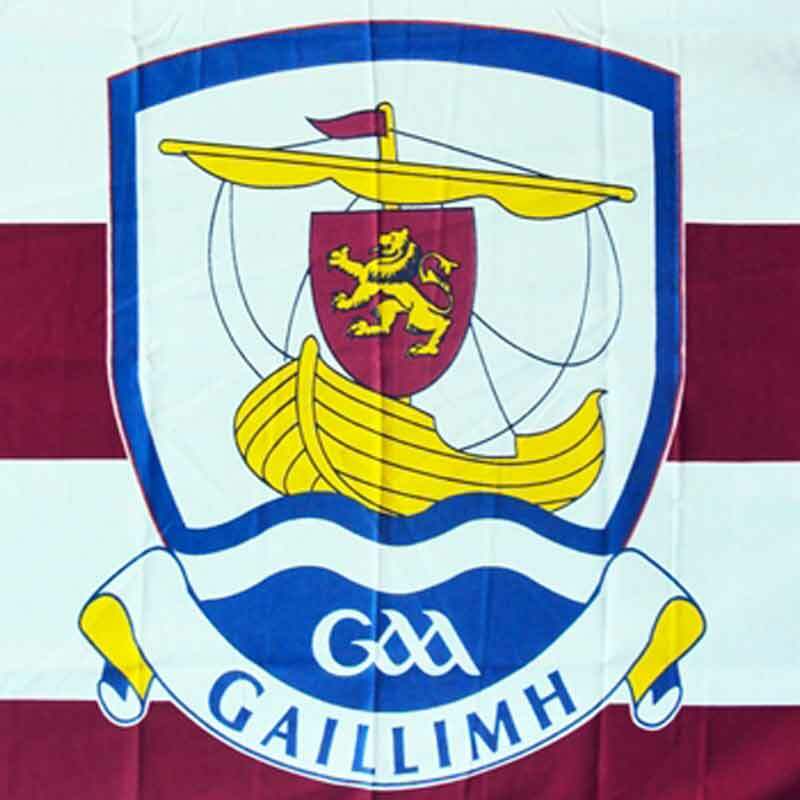 The Official GAA Crest is centre to the flag and is a link to Galway's proud traditions. 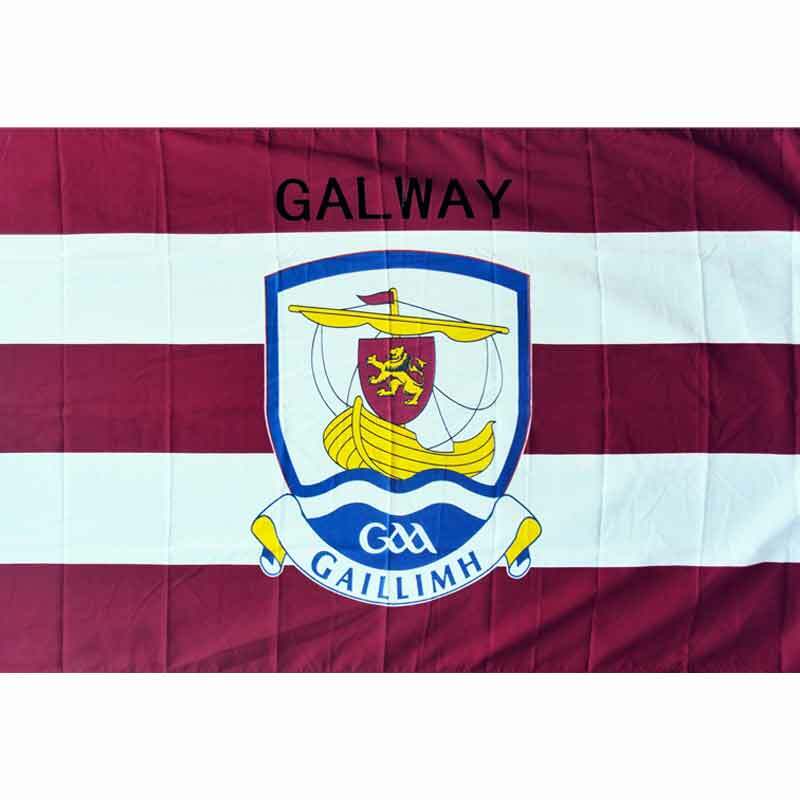 A great item to show your support for the County of Galway and its proud people. 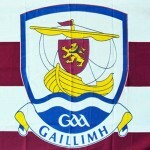 The Maroon and White will make a great statement!